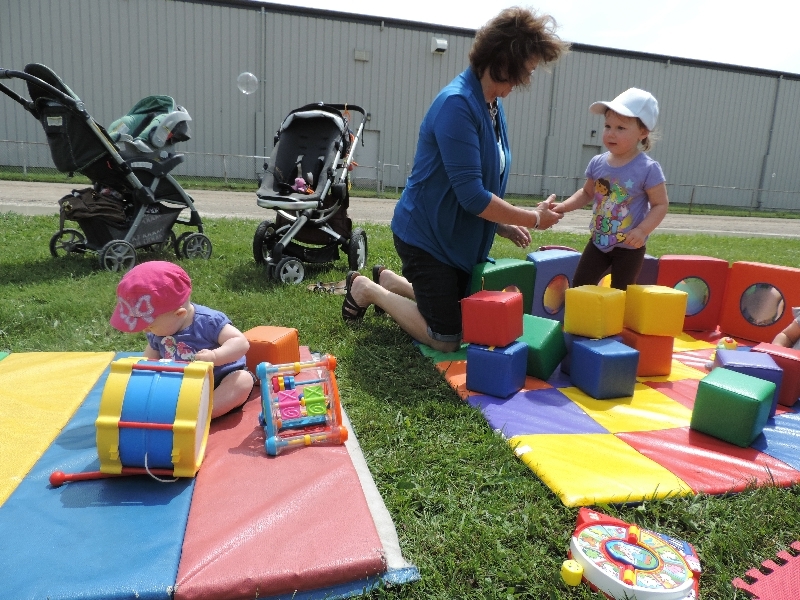 Goderich had their annual Children’s Festival this past Saturday, June 29, from 10 am-3 pm, at the Goderich Memorial Arena. There was so much to do. 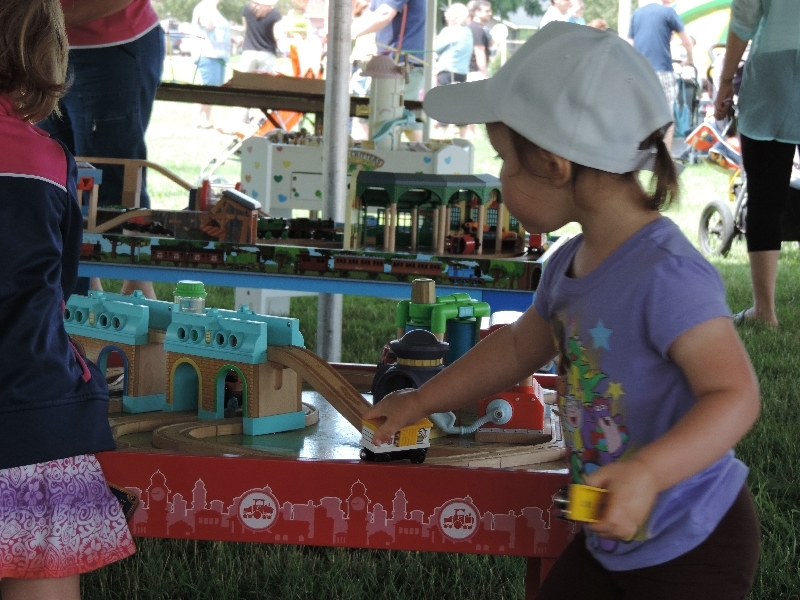 I have small children, so I loved that there were activities for all ages. I enjoyed seeing various local businesses and community members get involved by volunteering or having booths, centres or activities. We stopped to play at the B.U.S Toy station, Fincher’s Toy tent and made a bunny using soil and grass seed from the Horticultural Society. This year’s theme was Air, Air Everywhere. To go along with this theme there was a model air show put on by the Sky Harbour Modellers. 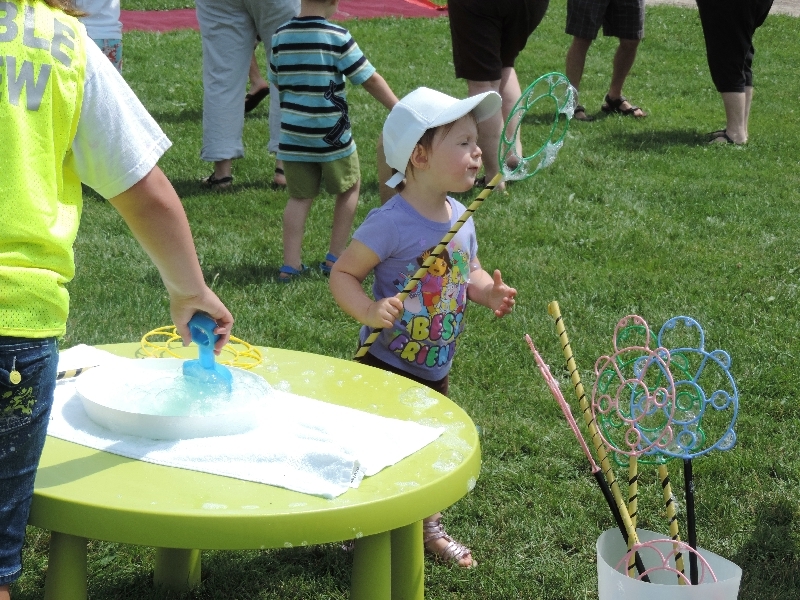 There were bubbles far and wide, and they had a bubble blowing activity station. My mini divas love balloons, so we took home several different colours and one shaped like a puppy. Inside the arena, they had sensory tables, dress up clothes, crafts, face painting, and more inflatables. There were snacks, drinks, BBQ and cotton candy. They had a silent auction fundraiser as well. 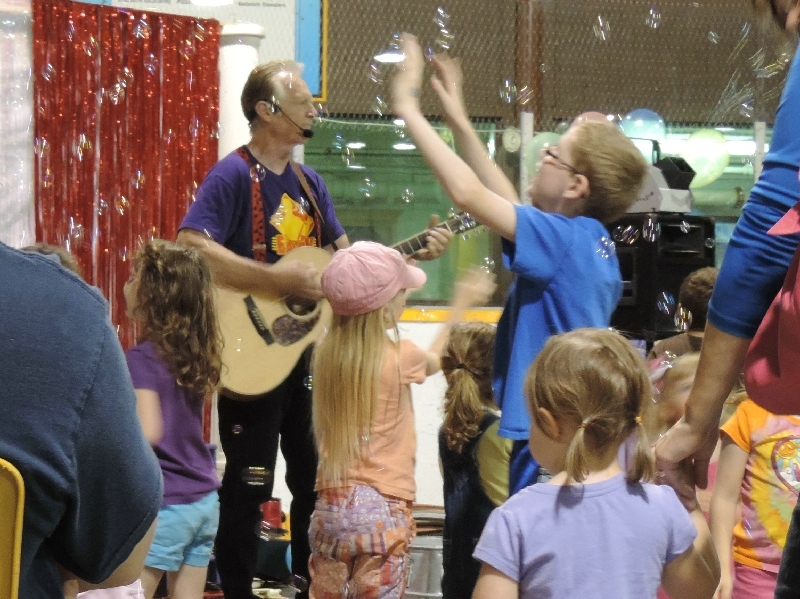 Our favourite part of the day was watching Erick Traplin, an award winning children’s entertainer. He had the children laughing, dancing, playing music and generally mesmerized. The whole event was free of charge, with bins set up for donations to go towards next year’s activities. Definitely a worthwhile day spent in Goderich!